When we consider the vast number of people who need help, being part of the solution can seem overwhelming. There are hundreds of thousands of kids trapped in failing schools in the U.S. alone. There are many millions of starving children around the world. How can a single person who isn’t a billionaire have an impact? Where do you start? Start with one small act. Hilde Back’s story is about how small acts of kindness can have an unimaginably large impact. When she was a schoolteacher in Sweden, Hilde decided to sponsor one child’s education in Kenya. Hilde’s sponsorship of Chris Mburu cost about $15 per month. 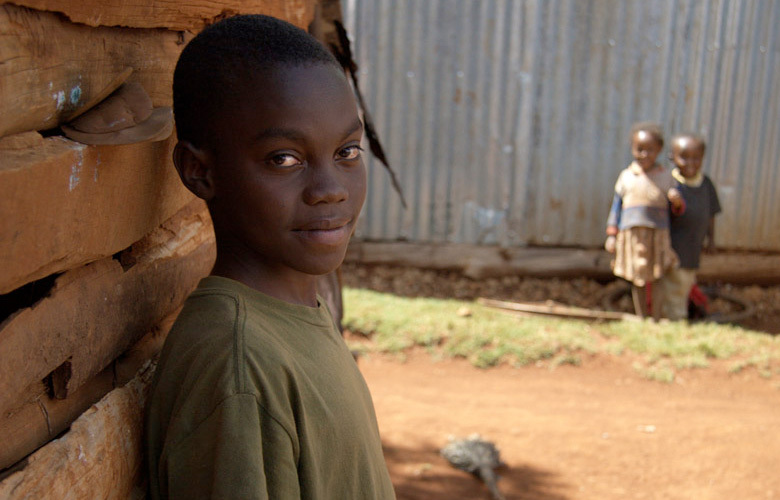 Most poor children in Kenya cannot afford to pay secondary school tuition. Unfortunately, without an education, an extremely difficult and impoverished life is practically guaranteed. Thanks to Hilde’s generosity, Chris avoided that fate. Chris wound up graduating high school, going to University of Nairobi and then attending Harvard Law School. He became a U.N. Human Rights Advocate, and he started a charity. He petitioned the Swedish embassy to find the name of his anonymous sponsor. Then he named his nonprofit the Hilde Back Education Fund (HBEF) after the benefactor he never met. HBEF pays tuition for deserving poor students in Kenya. Since the charity’s start, 350 children have been supported. Three hundred and fifty lives have been changed directly . . . so far. That doesn’t even include the impact on their families. And who knows how many of these students will be inspired, as Chris was, to give back? It’s interesting that the only reason Hilde Back was even alive to support Chris was because of a stranger’s kindness. Hilde was a Jewish child living in Germany during the Nazis’ reign. Both of her parents were killed in concentration camps, but a stranger helped her escape to Sweden. Hilde said that as a Jew, she wasn’t allowed to go to school in Germany. It seemed natural for her to sponsor schooling for someone who couldn’t otherwise attend. This wonderful documentary is a reminder that we can all make a difference, and you never know how big an impact small acts of kindness can have. 42 Small Acts of Kindness that Will Make You an Everyday Hero. Support the Hilde Back Education Fund. Volunteer Match has volunteer opportunities from over 83,000 nonprofits. Kiva.org allows you to make microloans that help third world entrepreneurs become self-sufficient. An amazing 98.94% of the loans are repaid. You can lend $25 of a generous donor’s money through Kiva.org as a way to learn about the program. Donors Choose connects you to classrooms in need, so you can make small donations to help schools with specific needs. If you’re interested in third party reviews of charities you might support, check out Charity Navigator and GuideStar. Feel free to post any ideas for small acts in the comments below. You might also be interested in this post: 42 Small Acts of Kindness that Will Make You an Everyday Hero.